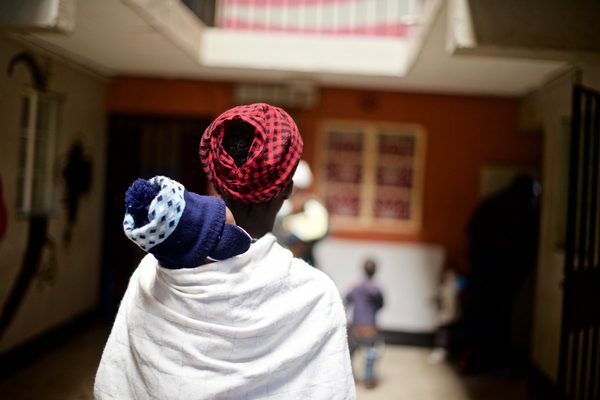 When our family left Kenya three weeks ago, we left burdened. The kind of weight that sits on your heart and is there when you go to bed and when you wake up and the long hours in between. Maybe you know the kind of heaviness I’m talking about. It’s the kind that will crush you if you don’t find peace or hope or hand it over to the God of both. We witnessed countless miracles. We stood on holy ground. But we also looked into eyes of extremely poor and oppressed women and we couldn’t see a flicker of hope and we had no idea what to do about it. And that does something to you. So, we did something we weren’t planning: we said yes again. We prayed with these women, mothers to the very teen moms that have been rescued from the grip of darkness, but they needed more than words. They needed work. Because sometimes hope looks like a sewing machine and sometimes Jesus looks like a loaf of bread. 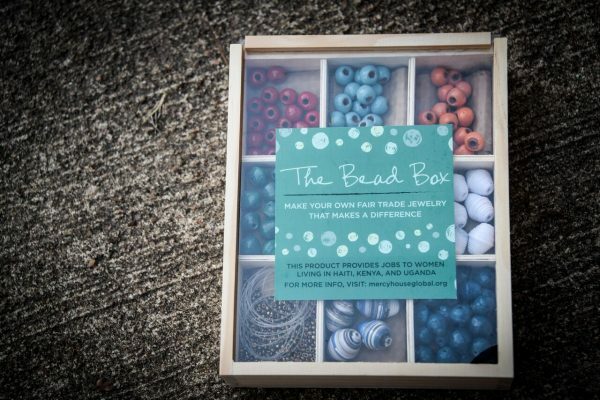 Hope can start with the smallest spark–like the little beads in our new fair trade bead boxes that offer a collection of handmade beads from around the globe that provide many jobs in many countries and a whole lotta hope. Before we left Kenya, we made a few phone calls and sent some emails … we knocked on doors we prayed would become jobs for these women and then we waited. The burden came from the hopelessness we witnessed, yes, but also from the promise we made to do something without having any idea what that would be. We’ve been here before, standing at the edge of something unknown. But I’ve learned a few things: one yes leads to another and before you know it you’re in so deep, so over your head, but Jesus keeps asking, pulling you deeper. I’ve also learned that says yes still scares me to death. So, yeah, on that long flight home, the yoke clung around my neck and I had a death grip on the promise whispered into my heart at the beginning of this year: There will be miracles. Around 6-7 hours after we arrived home, we found ourselves sitting at our church. Our pastor had texted us on our trip and asked to meet with us as soon as we got home. I will never forget sitting on the couch in my pastor’s office–I could hardly see straight from jet lag, but as soon as he said these words, the fog cleared: “We’d like to offer Mercy House the commercial rent free space we’ve just added to the front of our church building. But I heard, Would you like to witness another miracle? Kristen, would you like to see what God can do? Would you like to provide more jobs for women in Jesus’ name? Would you like to sell countless Bead Boxes and purses that provides dignified work in My Name? When Jesus was murdered on that first bad Good Friday, the people mourning couldn’t see what was going to happen. They didn’t know His lifeless body would live again. They were hopeless. But God knows what we don’t on this Good Friday. He knows the whole story. He asks us to trust Him in the unknown. And He wants us to say yes without knowing the whole story. Sometimes we can’t handle it, maybe we’re not ready for it, but we can believe that God is always working. The very next week, I woke up to an email from Kenya with a quote of what it would cost to provide looms to make rugs and kilns to make pottery beads and salaries to pay the ceramic and weaving teacher we had just hired. We needed a lot of money. Again. It overwhelmed me. Because the more we do, the more we need and then I remembered I don’t know how to do any of this and maybe I’m not so great at it. Maybe women won’t buy a silly box of beads from Haiti, Kenya and Uganda and sit around tables at their Girls Night Outs and DIY craft parties and become a part of this big story. Within an hour of that email, and a desperate little note on Facebook (that maybe someone woke up and might want to meet this need?) we had money for the equipment that would create work to make fair trade product to put in a new store that God provided. In that exact moment, when the ocean split, the bread multiplied, the water became wine, I saw that Jesus would do what He said He would do. It was glorious. He would provide hope where there was none. Because that’s what He does. Today, on this Good Friday, I’m asking you to trust in what you can’t see, for you to believe in what you don’t yet know, for you to lay that heavy burden down and dare to hope. 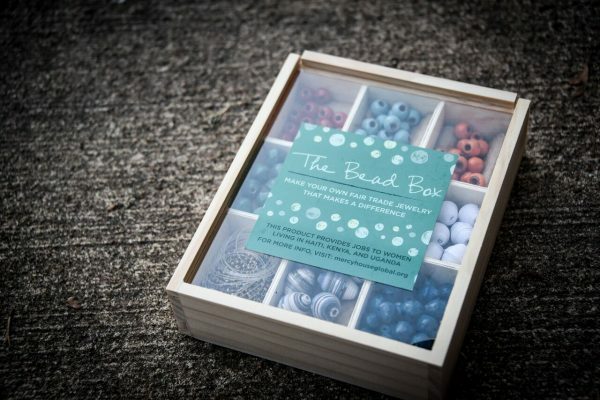 I’m asking you to buy fair trade Bead Boxes and Teacher Appreciation gifts. I’m asking you to believe that Sunday is coming. That the stone will roll away. That there will be miracles. That sometimes God answers so clearly and so loudly that it looks just like a new store that opens Easter Sunday morning. It’s a good story on a Good Friday.